The Italian ethos of ‘family first’ inspired the brand, created by the Viale family and named after mother, Fabiana. Combining tradition and innovation with over 30 years’ experience in the beauty business into one ‘fabylous’ brand. 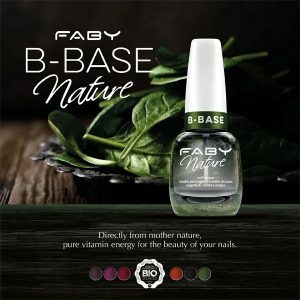 Faby B-base is pure vitamin energy for the beauty of your nails, a certified organic green cocktail. A transparent nail base coat. 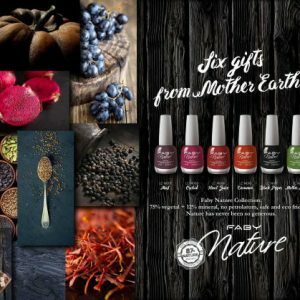 Not only does the strictly natural solvents increase the organic performance of this product and the special green cocktail - a super concentrate of vitamins, mineral salts, nutrients and anti-oxidants obtained from the active ingredients of Spinach, Avocado and Green tea- helping maintain the beauty and integrity of the nail structure. All the Faby collection is Cruelty Free, Vegan Nickel free and Big 5 free. 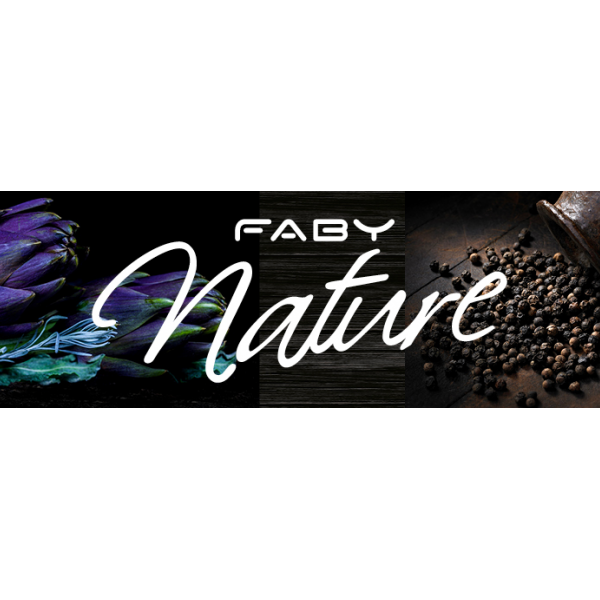 Faby Nail Polish Nourish Base Coat is perfect for dry, moisture-starved nails, Nourishing Base Coat uses an innovative lipid plant complex, fortifying proteins, and a proprietary blend of rich, nourishing vitamins and minerals to restore hydration and strength. All the Faby collection is Cruelty Free, Vegan Nickel free and Big 5 free. Faby Nail Polish Top Coat Fast Dry dries quickly, protects the colour and prolongs nail polish wear giving it an extra brilliant gloss finish. The exclusive formula is created using an innovative and high-performance resin with anti-yellowing action. All the Faby collection is Cruelty Free, Vegan Nickel free and Big 5 free. A unique anti-ageing Nail Strengthening product to the market. How it works: Multi-performance product with “7 benefits in one touch” – Strengthen, Growth stimulator, Harden, Smoothing, Hydrating & Nourishing, Protective and Shine! Clinically proven to restore and hydrate nails after 3-4 weeks. A very strong Nail Strengthener to help Dry & Brittle Nails, hardening nails instantly.